I've used stamps by a great Canadian company, Kraftin' Kimmie, papers by My Mind's eye, and some maple leaf ribbon from the store! It's a pretty simple card with a bit of tissue tape by Tim Holtz for texture. I used the current sketch by The Sweet Stop. Next up on the hop is Tracy from Ontario! Check back tomorrow to see full samples with our July SOTM! Today, have fun on the hop! Head on over to see Tracy's blog! 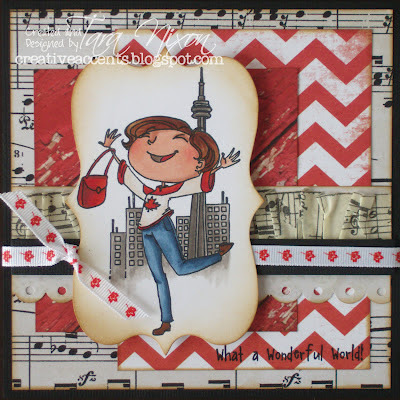 So cute, love the image and how you've layered the papers, the washi tape looks fab as well! Hugs, Roxy. Very nice! Love the stamp! Just went to visit their site! I will become a fan soon! Great card - such a cute image! 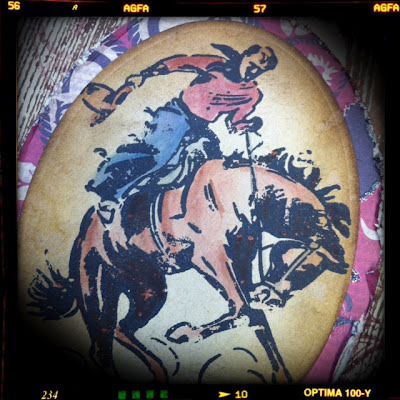 Enjoy the stampede! Fabulous card - love the image. and of course the colours are awesome:-) Happy Canada Day. Awesome card Tara. I love KK stamps. Have a great Canada Day! i love kraftin kimmie stamps!! great card!! What a fun card!! Love the papers,great ribbon and tape. I hope you had a wonderful day and thanks for joining us at The Sweet Stop. Awesome card, gotta love Kraftin Kimmie stamps. Finally home and able to see everyone's blogs, dial u- is terrible. I totally forgot about this Canadian Kimmie Girl! Your card looks fab! Love the textury tissue tape! 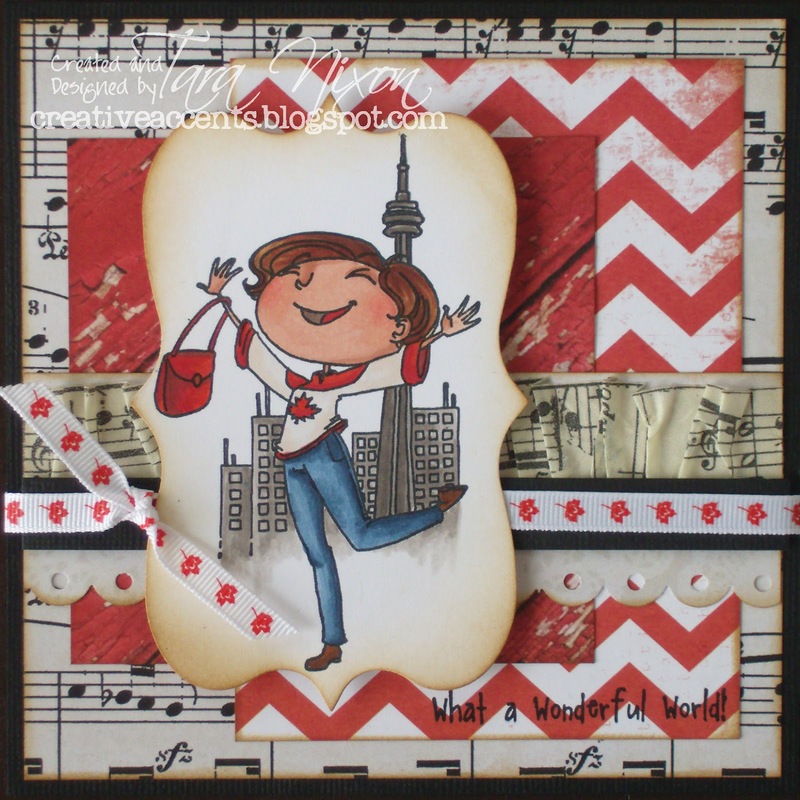 thanks for the blog hop Tara! It was so much fun seeing all the great talent and finding new blogs to add to my favourites. Super card!! love it! What a Wonderfully fun image! 8-) Love the fabulous gathered tape and PErfect ribbon too!